Over at the Matalbog, Gerard Cosloy updates us on the status of the upcoming (April 6, 2010) Harlem album, Hippies. Deets, plus a taste off the LP, below. …the resulting 16-song pop meisterwerk, recorded with the assistance of Mike McHugh, reveals the triumvirate of Coomers, Curtis and Jose in fine fettle. The gents really “knocked it out of the park” as ice hockey fans are so fond of saying, but we remain hopeful, if not confident this album will have great appeal even for those of you who’ve never laced ‘em up. 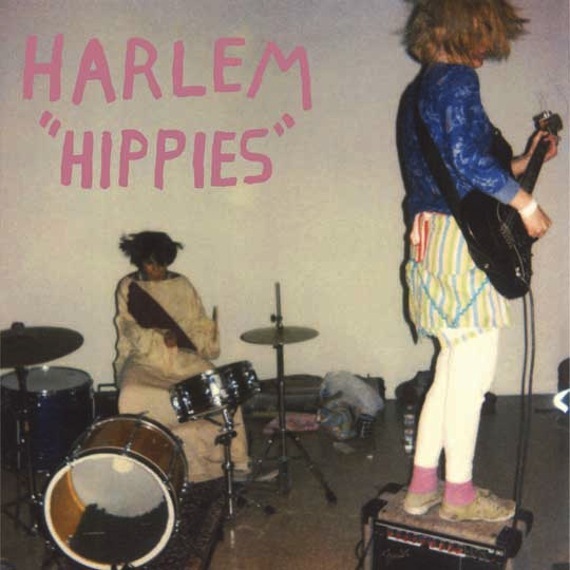 Harlem’s 2nd album, ‘Hippies’ hits North American record shops, farmers markets and digital storefronts on April 6 on the always popular LP, CD and MP3/FLAC configurations. Hey, I like this site, but are you aware that the sound files almost never work? Very often I get an error reading that the media cannot be played at this time. accessible to those of who’ve never laced up–definitely–it sounds like something already inside us.